LG's official announcements at MWC this year were admittedly a bit light on the hardware front, with a major focus on AI instead. 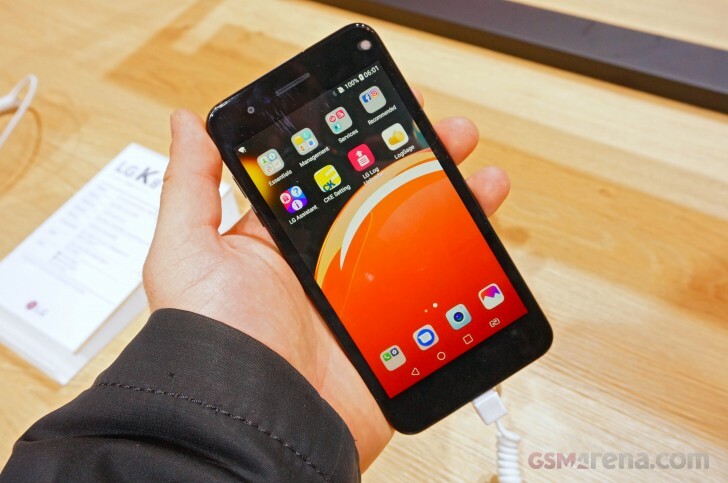 In case you missed it, the V30S ThinQ and V30S+ ThinkQ were unveiled at the Barcelona venue, with most of the focus falling on the company's new and ambitious smart platform, rather than the new V30 colors and memory upgrade. Still, that is not to say the Korean giant didn't bring any hardware to the venue. We just had to go looking for it around the showfloor. What we found were three new mid-rangers - the K10, K10+ and K8. Well, technically, two, since the K10 and K10+ only differ in memory configurations. Come to think of it, both the K10 and K8 are kind of incremental updates, perhaps even "side-grades" or slight variations compared to their respective 2017 predecessors. The pair pretty much carries over the general design and shapes of the "K" family. LG's reasoning for this continuity is a sort of visual identity, recognizable by users. 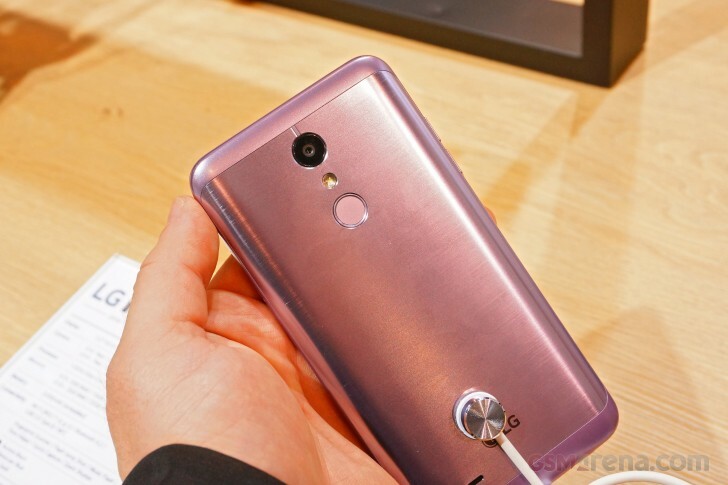 Plus, a subtle 2.5D arching glass on the front and a glossy back, do make for a rather classic look, that should age well, in keeping with LG's own claims. That being said, however, the 2018 K10 does feature a new back design. The better part of it is now metal, which goes along nicely with the metal U-frame, carried over form the previous generation. It has a good feel to it, more glossy than brushed, but also tends to retain a lot of smudges. Come to think of it, both the LG K10 and K8 are fingerprint-magnets, pretty much all around. The top and bottom segments of the redesigned K10 back plate are still plastic, which eliminates the need for antenna lines. The color and texture matching between the two materials is also pretty good and works well with all the available colors. Speaking of which, both models come in Aurora Black, Terra Gold and Moroccan Blue - probably our favourite of the bunch, on the K8. For the K10, we would definitely go with Aurora Black. In place of metal on the smaller K8, LG went for a very pleasant fine dot pattern. It makes for a nice grip, but is not necessarily easier to clean. Control and hardware-wise, there are practically no new changes for 2018 to speak of. Both phones still have a 3.5mm jack, a single speaker on the back, microUSB 2.0 ports and a fingerprint reader, right underneath the main camera. Specs changes this year are also pretty minimal and not necessarily what we would call upgrades. For instance, the K8 (2018) has an 8MP main camera, bumped down from 13MP in the LG K8 (2017). On the flip side, you can get the new K10 with a higher-res 8MP selfie, capable of bokeh shots in certain variants, this year. Displays remain unchanged and retain the 16:9 aspect ratio standing at 5-inch, 720p and 5.3-inch, 720p, for the K8 and K10, respectively. Frankly, considering what competitors like alcatel are doing, we expected LG to embrace the new extra-tall trend as well. Then again, it's good to have options. Circling back to the camera, LG speaks very highly of the 13MP one inside the new K10, even going as far as to liken it to its flagship G6 in photography prowess. Now, the latter is obviously an overstatement, but LG has thrown in a new Low Light Noise Reduction feature in both the K8 and K10. We'll be sure to test it out thoroughly in our full review. While on the topic of camera, LG is shipping a more advanced camera UX on both models this year, complete with some new extra features. Timer Helper uses the flash to indicate how many seconds are left on the self timer, so you and your friends, don't have to guess exactly when to smile. Timing the perfect jumping shot is easier with the K10 and K8 as well. There is a special mode, rather descriptively titled - Flash Jump Shot. It snaps a photo automatically every three seconds, for up to 20 shots, so you can retry without having to run over to the phone. Better still, at the end of the jumping session, the phone stitches the shots together automatically and makes an animated GIF. Pretty convenient for sharing. 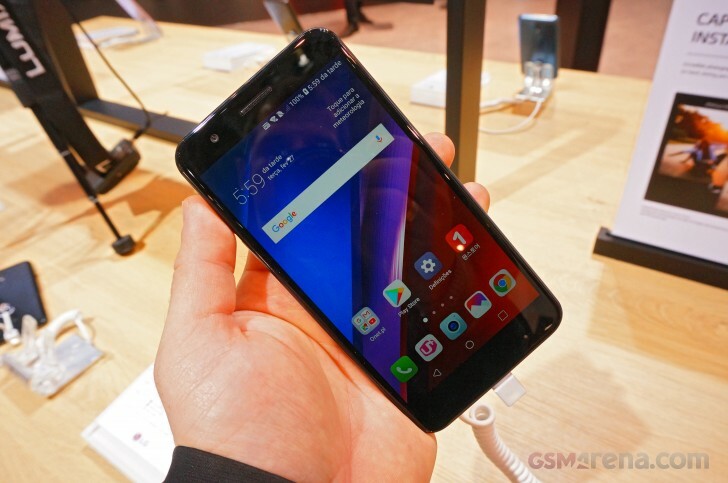 Before we wrap up, we should probably note that contrary to earlier rumors, neither LG's press materials, nor the representatives at the booth mentioned anything about LG Pay on the K10 (2018). 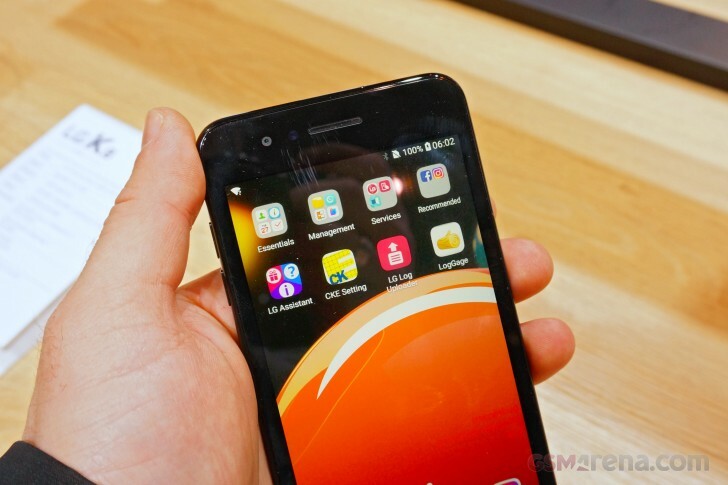 Perhaps LG backed out on its plans to bring the feature to its mid-range lineup. Perhaps, the integration simply wasn't ready in time for the Barcelona show and will pop up on the phone later. We'll just have to wait and see. Nokia looks better. Maybe 2018 model can survive longer than previous. Not shure they can make best phones under 200euro i dont want to enymore waist money on another shitphone. Ugly phones. Why note make the G series the new mid range and jsut throw away the K series to the trash bin.